You mention id cause they are very involved in this case right? 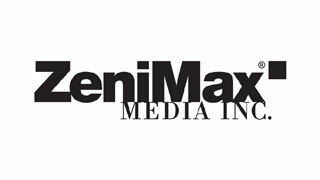 Cause when I think of Zenimax, I think Bethesda. I honestly have no idea what to think of all this. I certainly hope the truth wins out, I just hope I like what the truth is. I dont want to think Zenimax is just being greedy, but I am inclined to distrust the plaintiff in these situations. But I like Zenimax more than Facebook, easily. As I said before, John Carmack wouldn't need to steal the code, but it's also something he would do. SuehappyMax may not be in the right here. I have no opinion, either way, as I'm not going to pretend to know anything that I really don't. The only thing that I will say, is that ZeniMax claims to have surveillance footage of Carmack on company property after he was no longer under their employment, which coincides with the technology disappearing, along with quite a bit of its research. They have not actually provided the evidence that they claimed to have, so who knows. But if they can show that footage at court, and link it with the time that their property went missing, then they may have a case. They don't even need CCTV footage. If ID's IT policy are pretty tight then it can be easily be traced back to Carmack's access logs. That's the question, though, isn't it. At this point, there's really no telling, from what's known, publicly. Just a lot of mud being thrown around, which doesn't particularly interest me much. Well, this'll be interesting to follow. It would make me laugh like a drain if everything Zenimax is claiming turns out to be true, but Carmack's contract gave him joint ownership of everything he touched and the right to do with it as he pleased once he was no longer a Zenimax employee. That would make me giggle for days. Not once do they state exactly what piece of technology was stolen. Was it a full blown vr headset that the suits ar zenimax were using as a paperweight? Or an API call that makes the fancy green light go BOOP. Whatever, Facebook vs ZeniMax probably gets a resounding "meh" in terms of sympathy for either side. If id's IT policy was tight, it would have closed his login after he left the company. And if Carmack set up an alternate account for him to access afterwards, we might be treading in corporate espionage territory. It is something he did. Granted, he shared as much of his code as he would take from others, but he wasn't above stealing company property on a pickup to work on personal projects during the weekend. Yeah. While working on Softdisk in the late 80s; he, Romero and Adrian Carmack* took out the company computers in a truck a Friday night and return them next Monday morning. That was the birthplace of Commander Keen. Certainly sounds like a rather unique fellow with a unique view on company property.